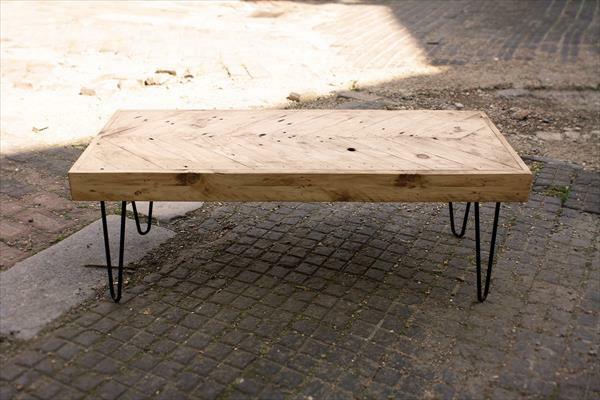 Worth of a coffee table for a living no more needs an introduction! A coffee table is always an item of great value in a living room and it cannot be missed there in any way as brings the instant decorative vibe there if having a pot or vase on the top and lets the seated people to start their conversations! 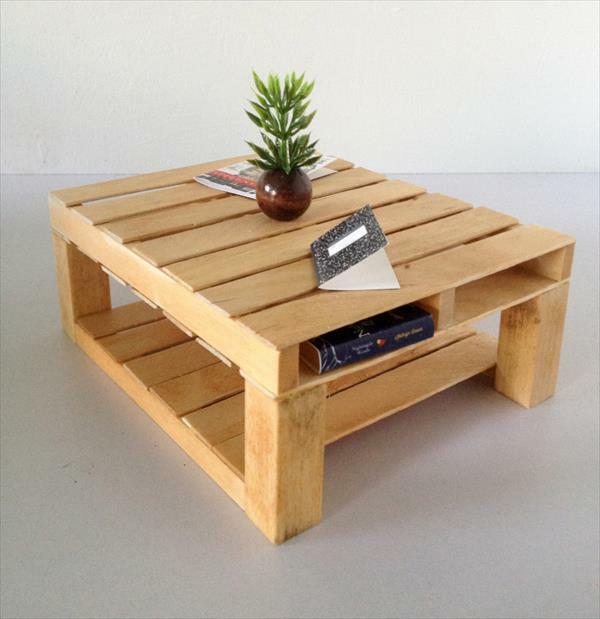 To gain precious wooden coffee tables was never so easier before, just look at this DIY pallet coffee table made of pallets which are all easy to discover as they are always lying in their surrounding areas! It stands on well-made robust legs that are linked together through wooden cross supports, these supports also help to build another shelf at the bottom, as you can see! A compact size of pallets has been confirmed to build up the whole top level and opening inside that pallets help the user to store a variety of things! 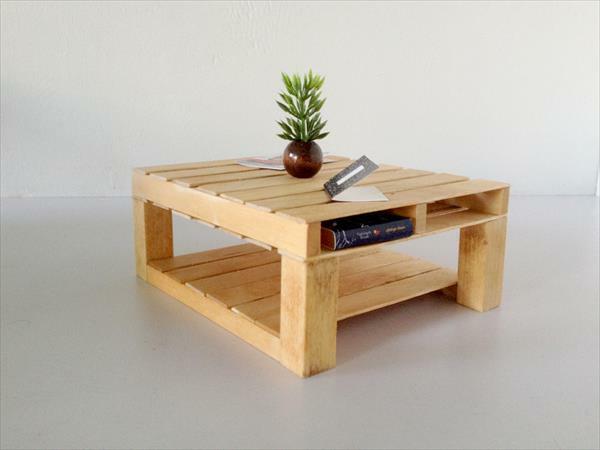 It’s a time to avail the all nearby sources of pallets as phenomenal wooden crafts are just waiting for you!